We have added to our line of products. 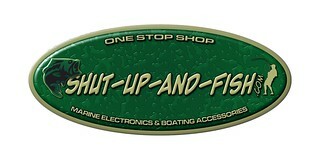 We have you covered here @ shut-up-and-fish. We have all EchoMap and Striker Series in stock. As well as the Panoptix Livescope. 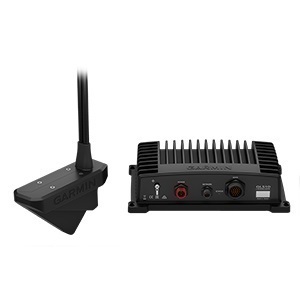 I Installed a Garmin unit with LiveScope yesterday on customer' boat and we went out today to put it through the paces. In short, all I can say is that in the two hours we spent on the water I do not want to fish on another boat without it. Wow!! What a game changer. It is like playing pool and calling your shot. What amazed me the most was how straight out of the box and with two easy adjustments to the settings we were targeting and picking fish off of limbs. In looking back at the video where I said those must be bubbles, I am now believing we may have knocked off some algae from the limb and it was rising which it stirred up the fish just before it bit. Amazing to finally see what has been happening below all these years of Crappie fishing and now be able to dial in things and pinpoint my bait where it should be instead of hoping I am in the right area. This my friends have increased my bite ratio as I can see where to place my bait in the strike zone. Here is a short video. The video is not the greatest and we plan on getting back on the water soon and make something better. We only hit 4-5 spots and I am sure if we ran the course we would have come across stuff that was choked full of Crappie. I have 50 + LiveScope in stock/available and you can review the link below for a compatible unit/display to go with it. You will need to turn your head sideways to the right. Sorry for the poor video. We will get more coming in the near future. Enjoy!!! 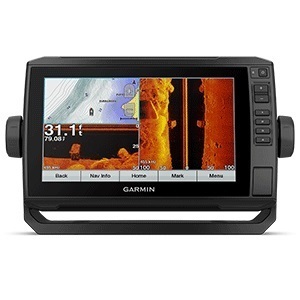 It may not be able to get the fish to bite but the Garmin LiveScope continues to amaze me in clarity, and the ability to pinpoint bait presentation and accuracy. Here you see a tandem jig set up with a barrel swivel. You can see each one individually. another video. Watch to the end and you will see the crappie smack the jig. 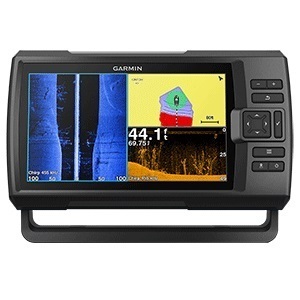 The video below was recorded from my Garmin 1022 GPSMAPS unit Teamed up with the LiveScope. Recorded from the ActiveCaptain App right to my phone or tablet via Bluetooth. You can see my line through the water column as well as my jig. Around the 1 minute timeline, you will see a fish follow my jig upward. 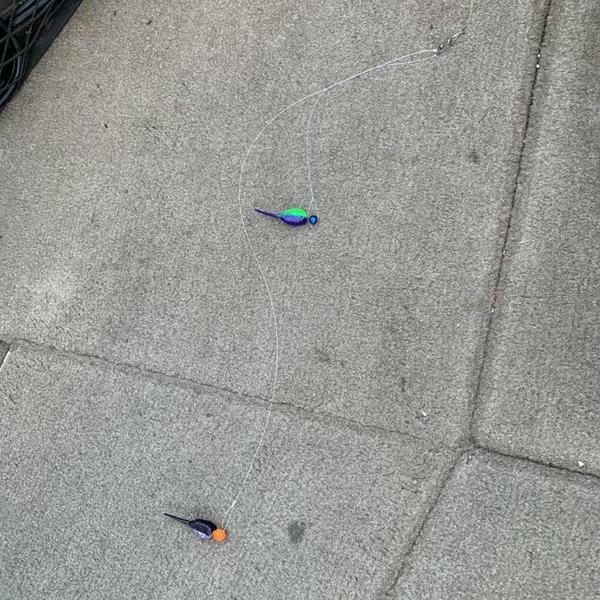 I am thumping the fish on the nose with my jig and she does not commit to the bite. I lower the jig and you can see the other school holding tight to the ledge come out to play. One commits and smacks my jig and you see the fish go to the surface. I did this 42 times in 2.5 hours from the same spot. Some people are mad at this technology and some love it. Me, I love it. To each his own. This item has been flying off our shelves. In the video, there is a deep water ledge in a creek I am fishing and you can see a large school of crappies relating to the ledge. With LiveScope I can see how the fish are relating to the structure as well as how they react to the bait. We have the echoMap 93sv chirp plus and LiveScope in stock and available with free next day shipping. Here is some video from a friend/customer catching some hybrids with the Garmin echoMap 93sv and the LiveScope transducer. Enjoy and thank you to the many that have also become our friend/customer here on CFF.